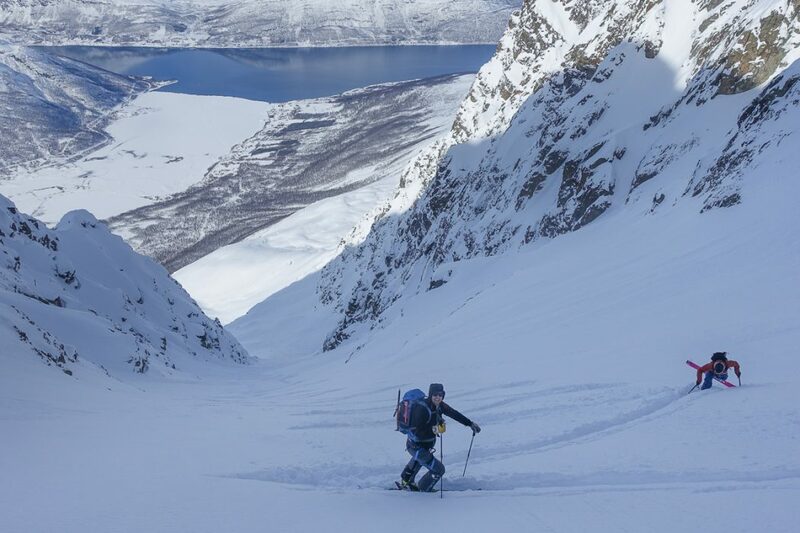 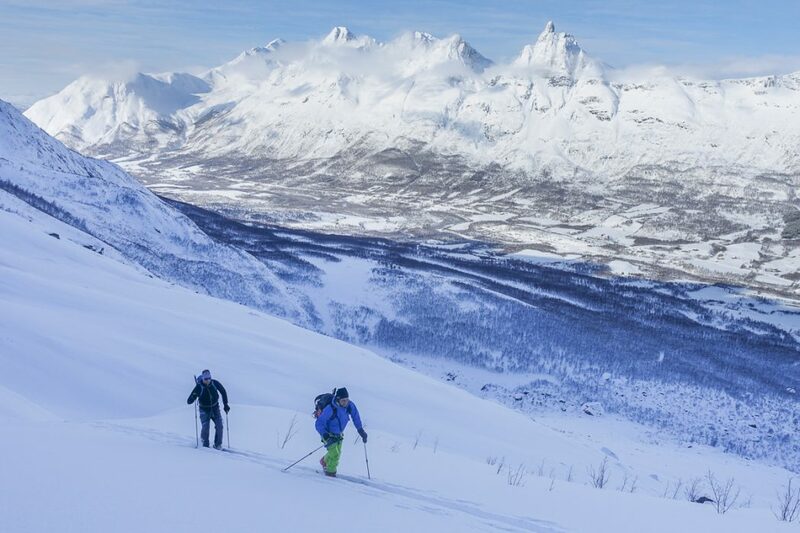 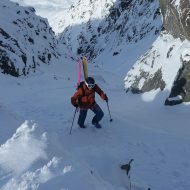 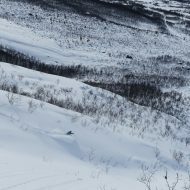 Images from the Lyngen ski mountaineering week in the south part of Lyngen Alps in April 2018. 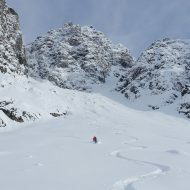 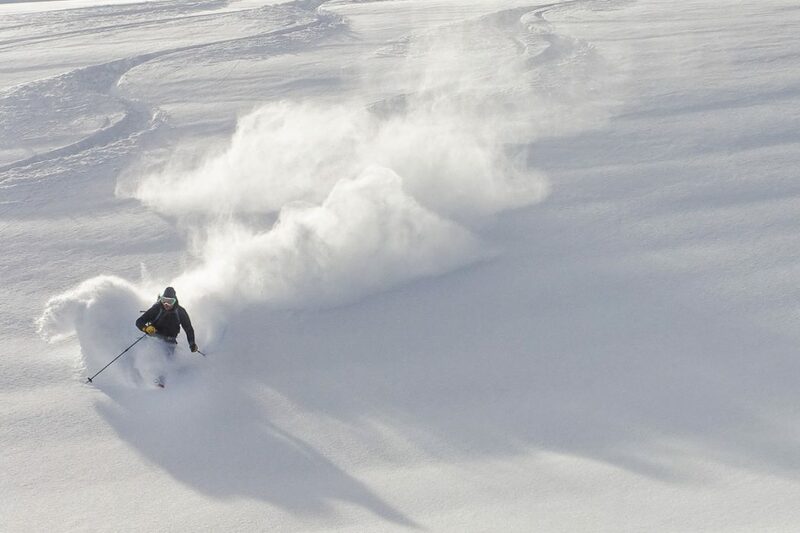 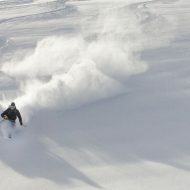 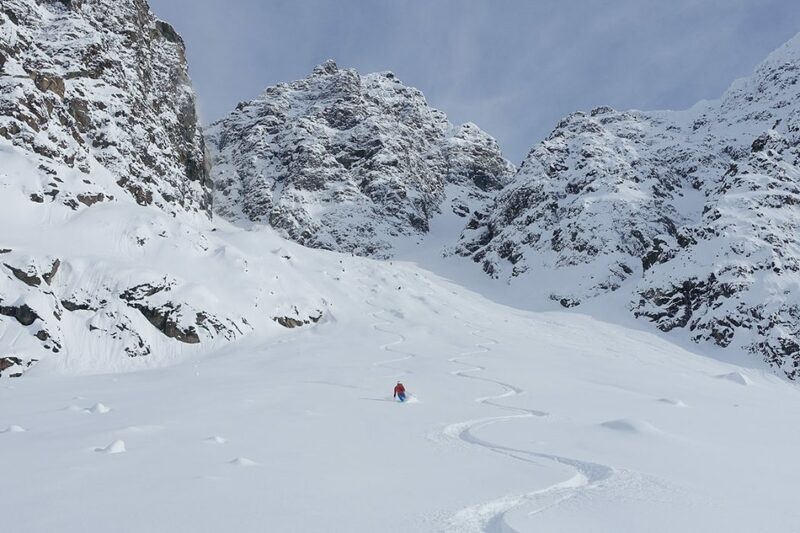 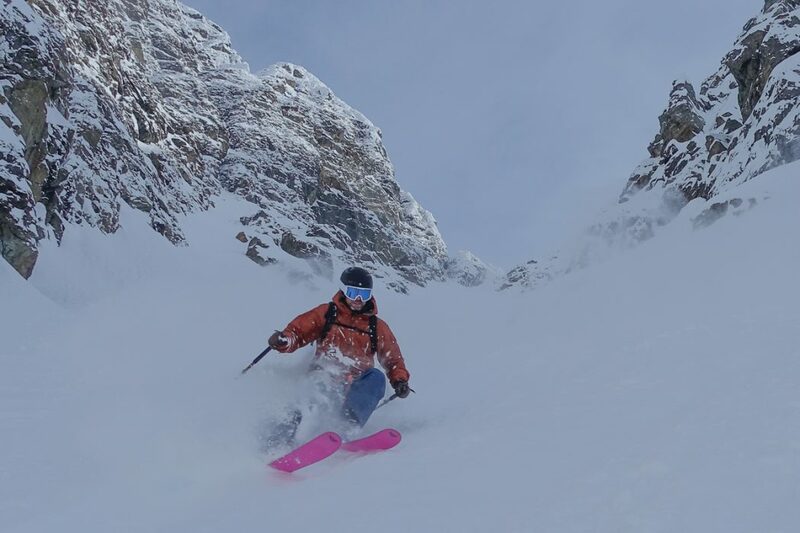 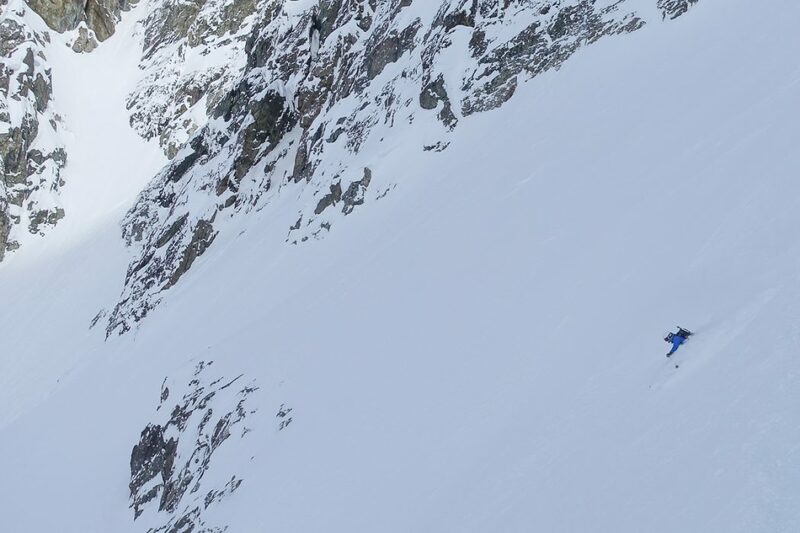 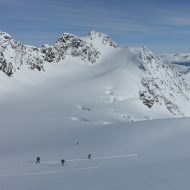 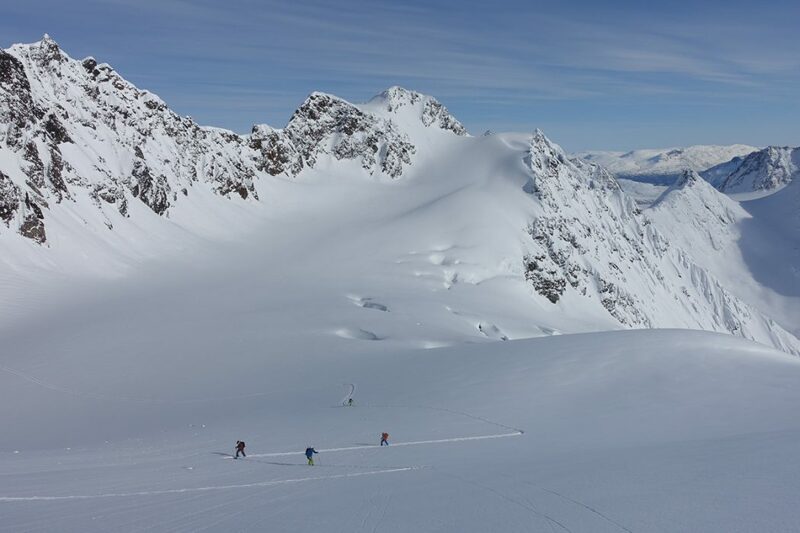 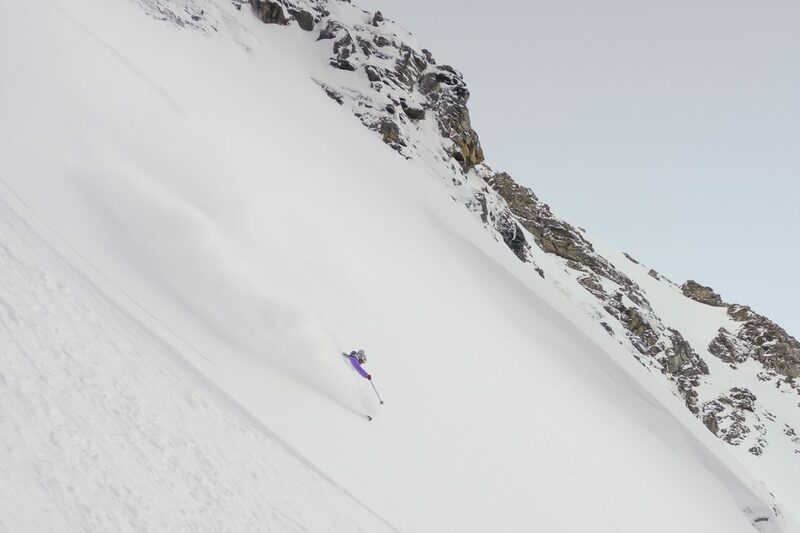 A strong team of Austrians joined us for a magic week of adventurous skiing in complete solitude. 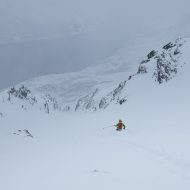 We did not encounter any other skiers during the whole trip. 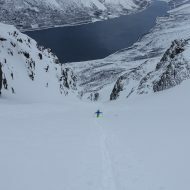 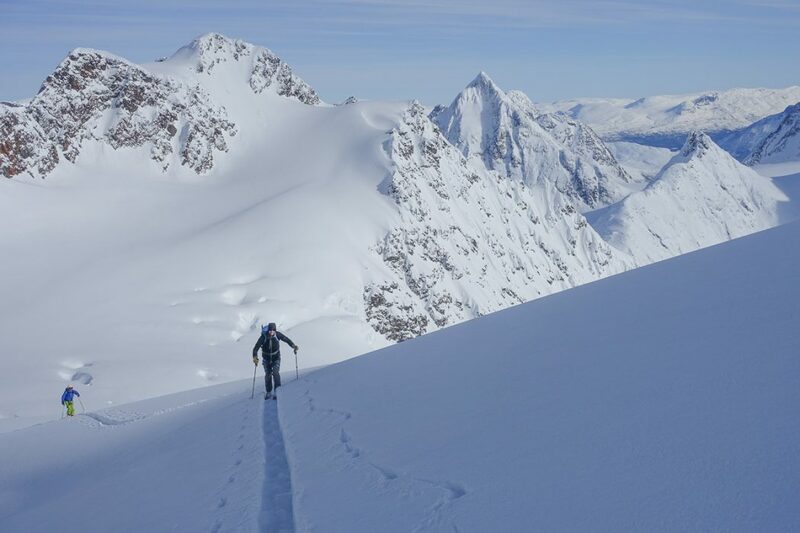 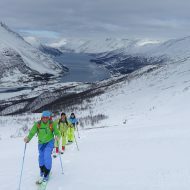 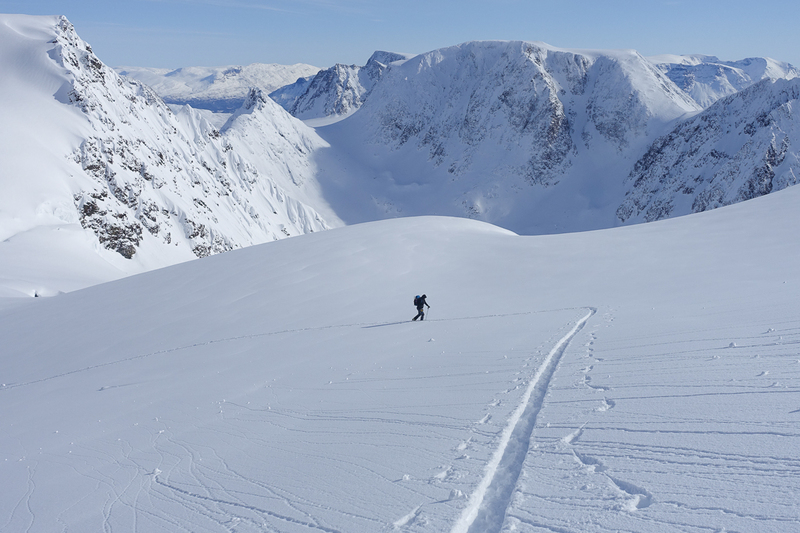 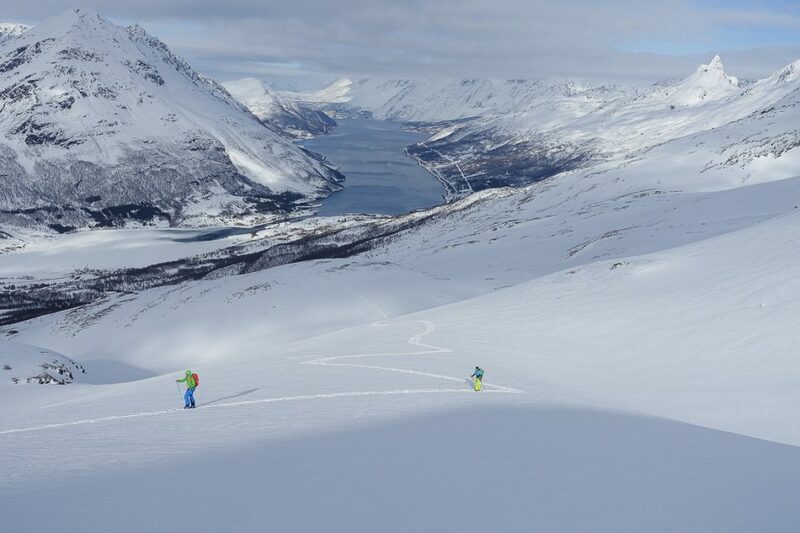 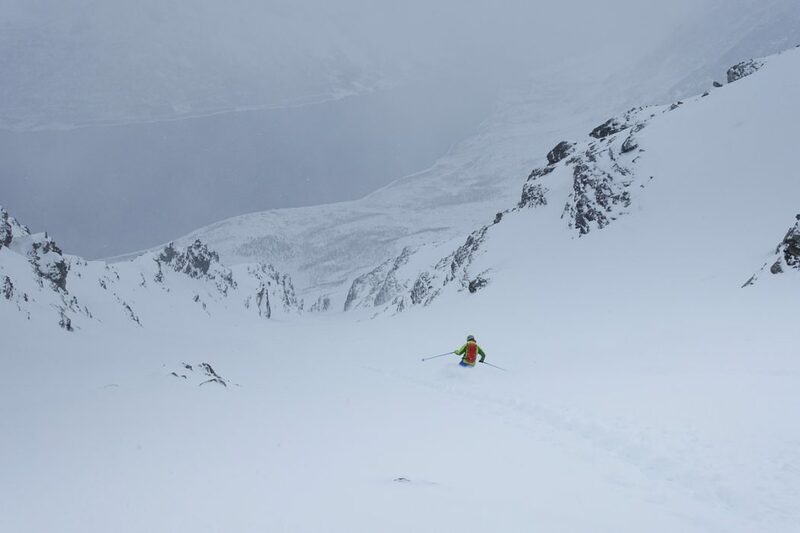 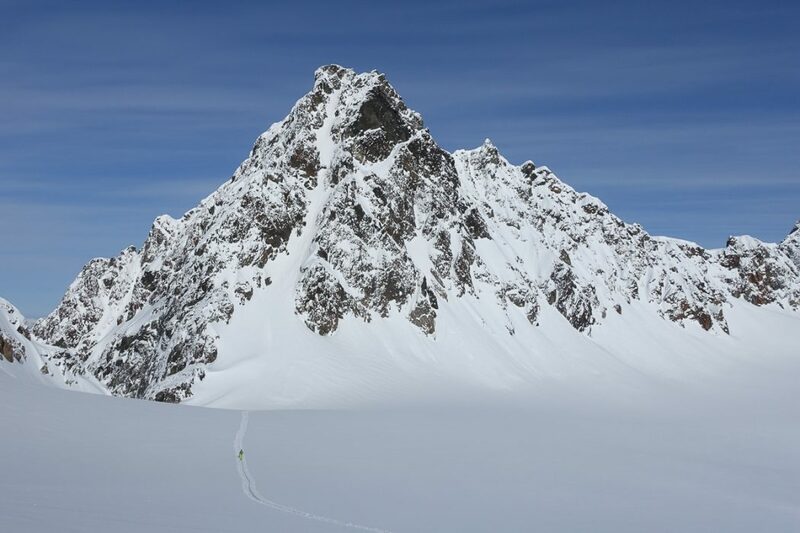 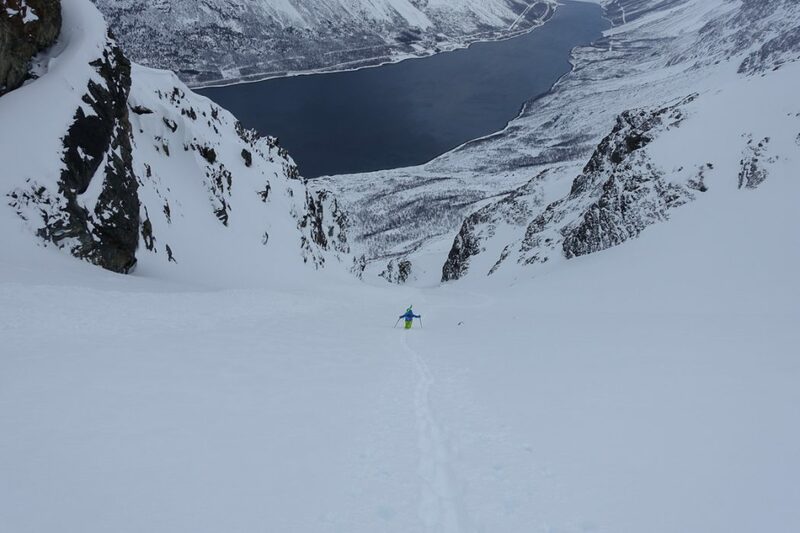 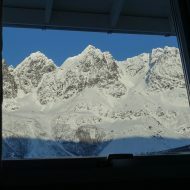 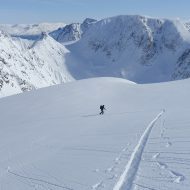 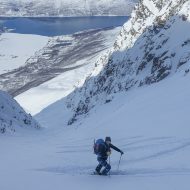 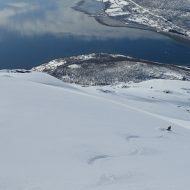 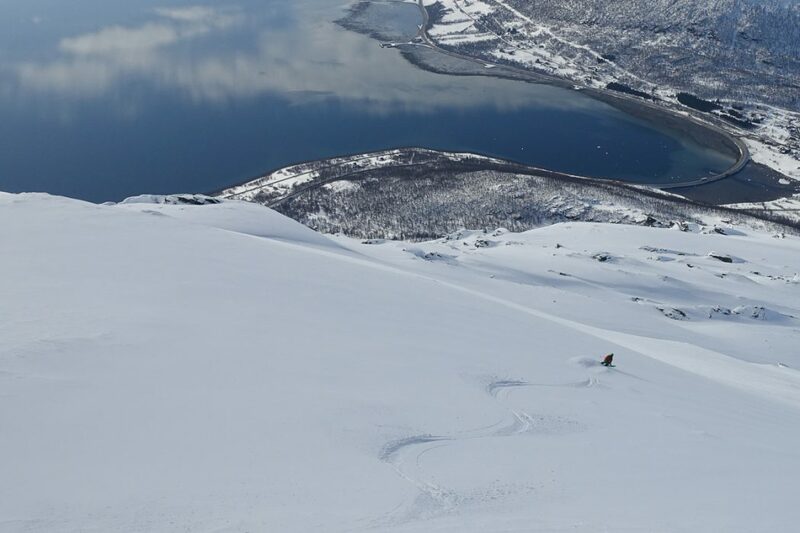 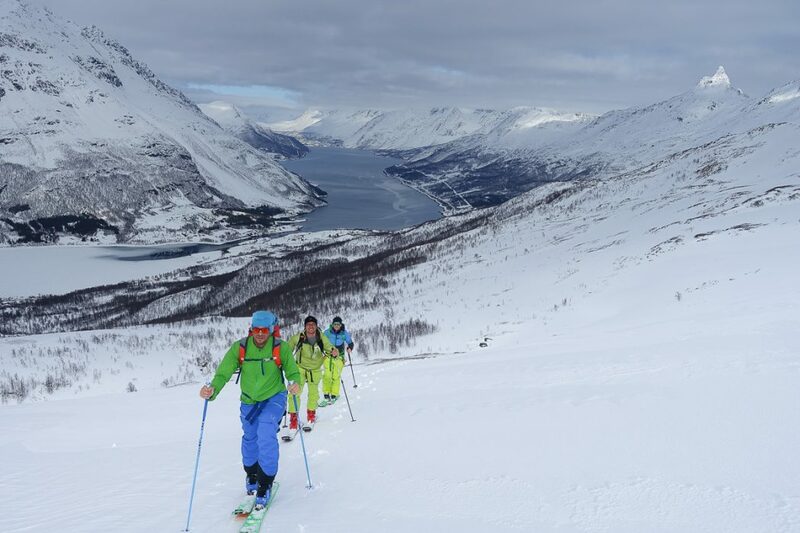 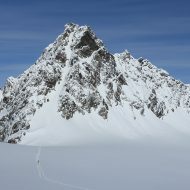 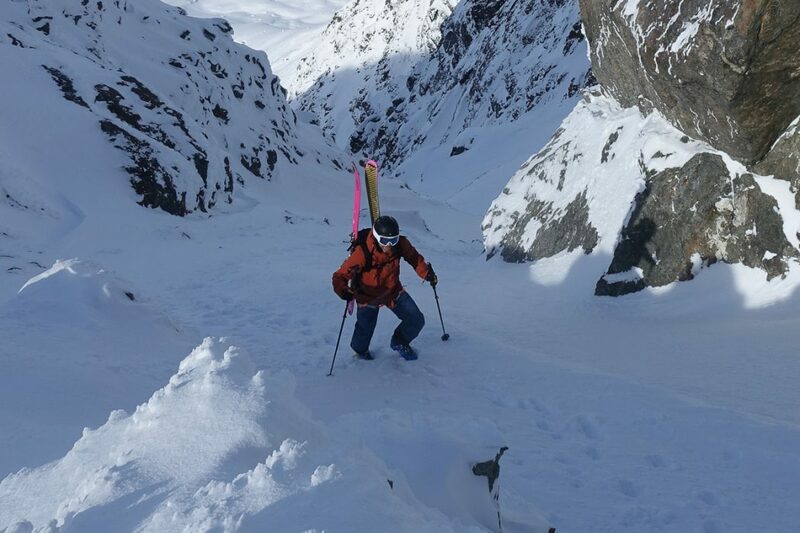 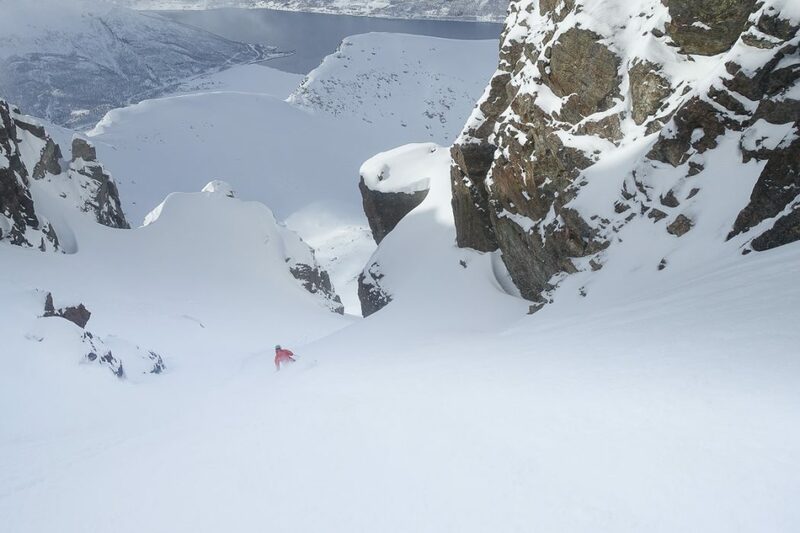 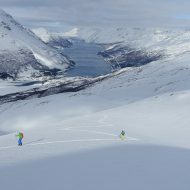 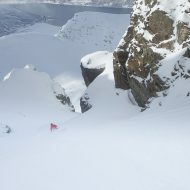 It was a fantastic week of ski mountaineering, skiing the peaks above the Lakselvbukt fjord. 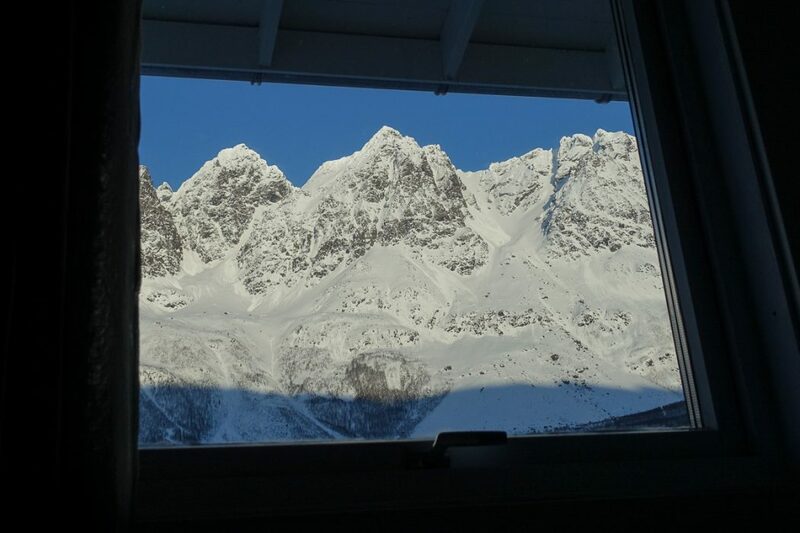 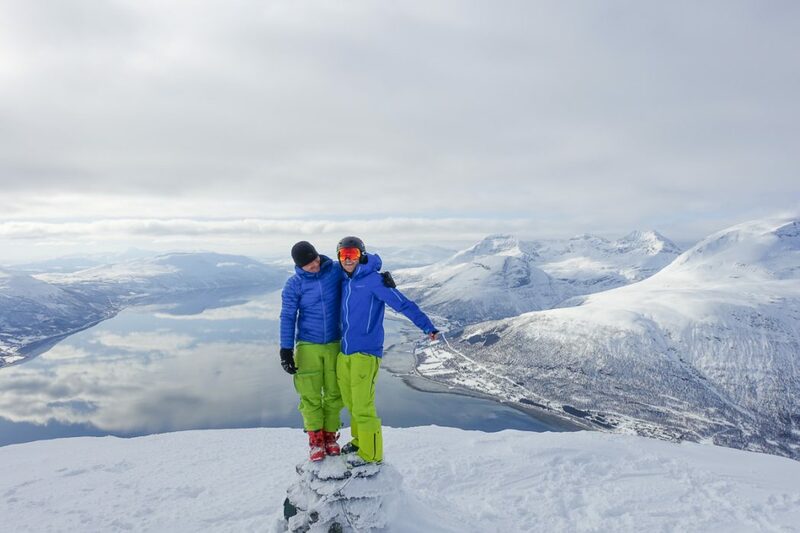 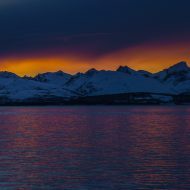 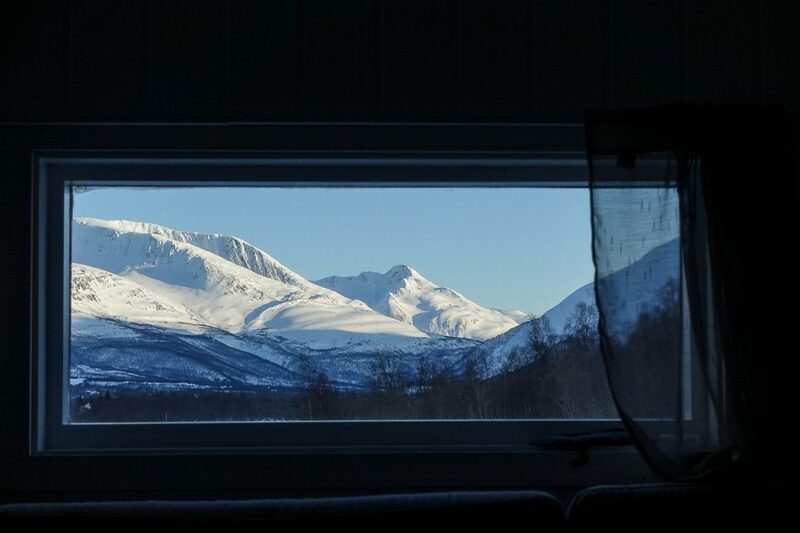 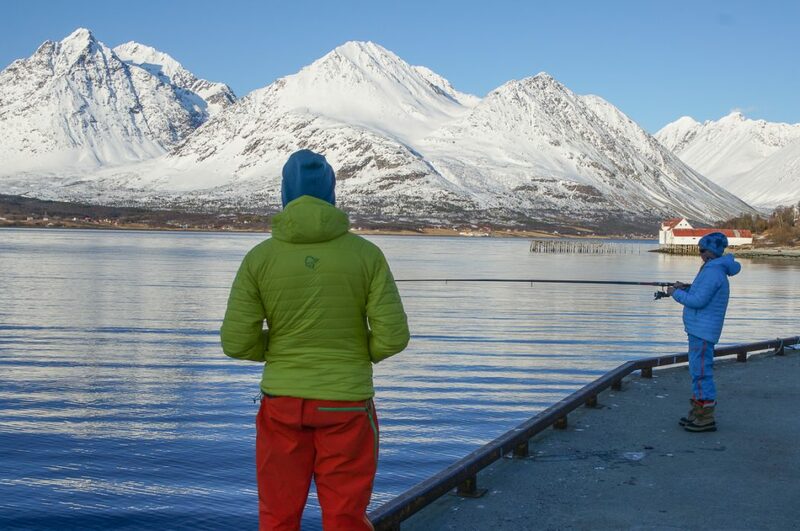 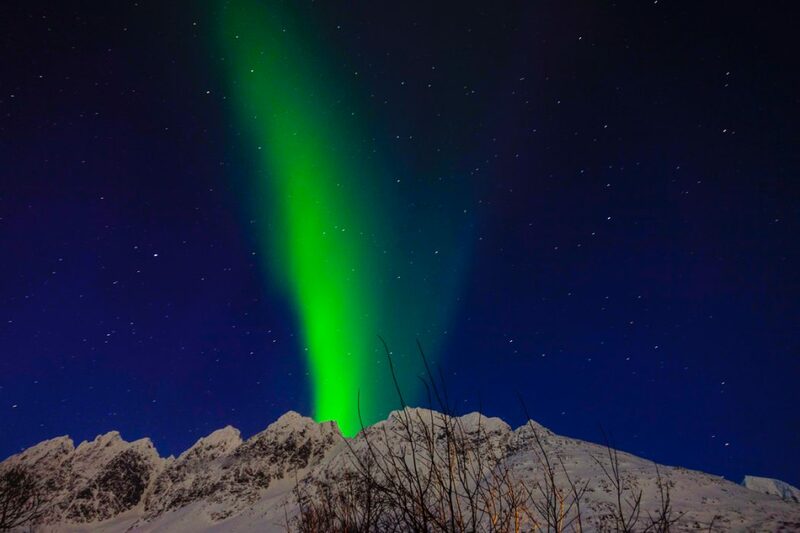 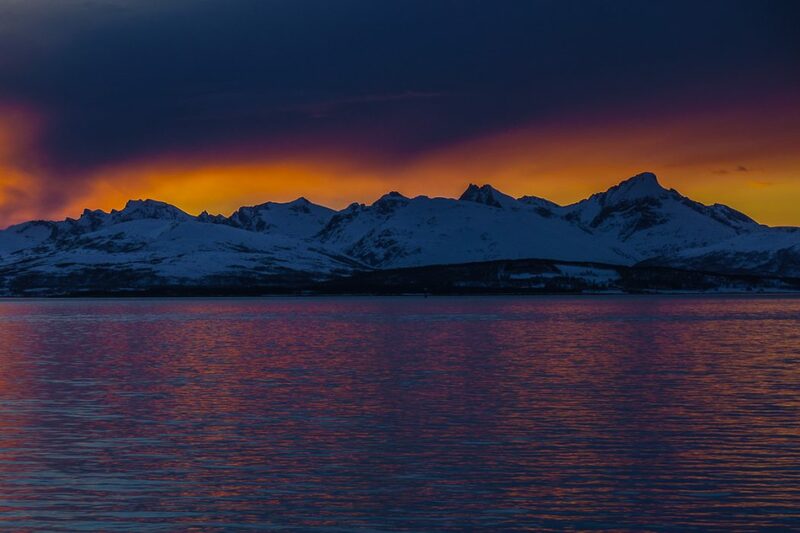 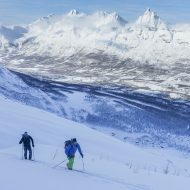 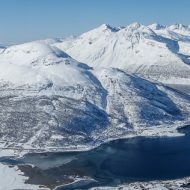 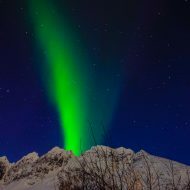 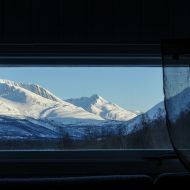 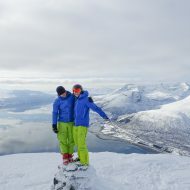 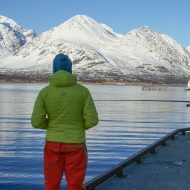 The highest mountains in Lyngen (up to 1800m) are located on the southern half of the peninsula, therefore the average ascent from sea to summit is a bit longer then in the north. 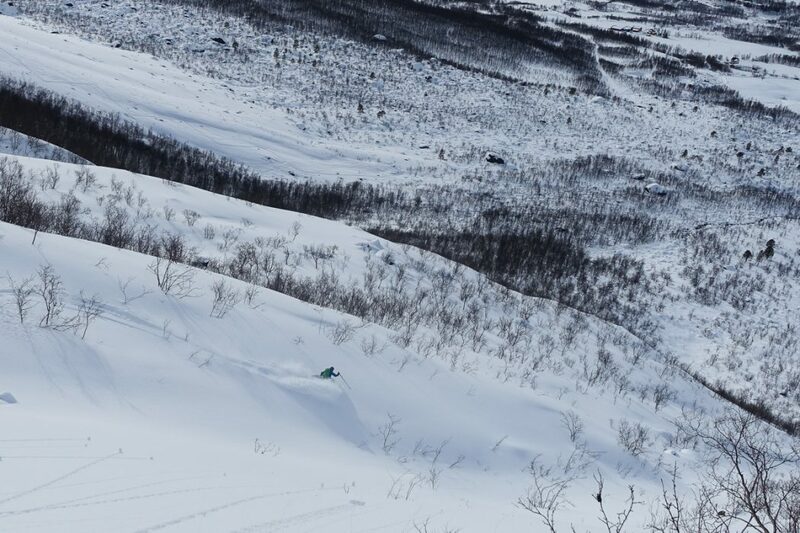 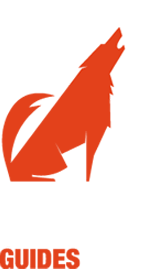 Also the terrain is steeper and we need to cover more terrain on foot (boot-packing instead of skinning). 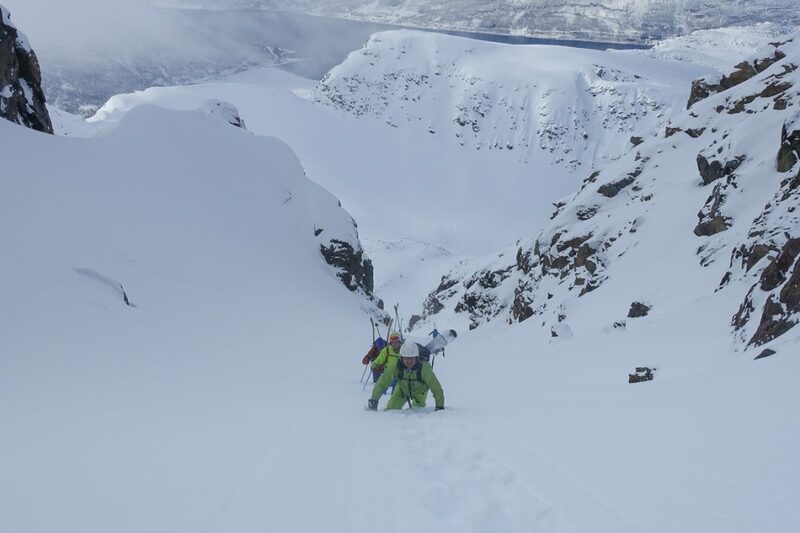 Making a 1000m boot-pack in deep powder is a team effort and requires strong legs! 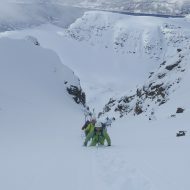 With the currant snow pack, conditions were difficult and we approached the mountains with great care. 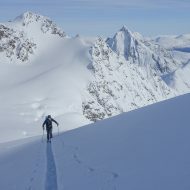 Plans often changed last minute and some days we moved from plan A to B to C. But 7 days and 10000 height meters later we look back onto a fantastic adventure and many great turns! 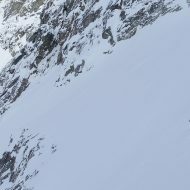 Thanks team Austria for your patience, discipline and all the jokes along the way!